Fred: I met a really conceited actor the other day. Harry: Why do you say he's conceited? 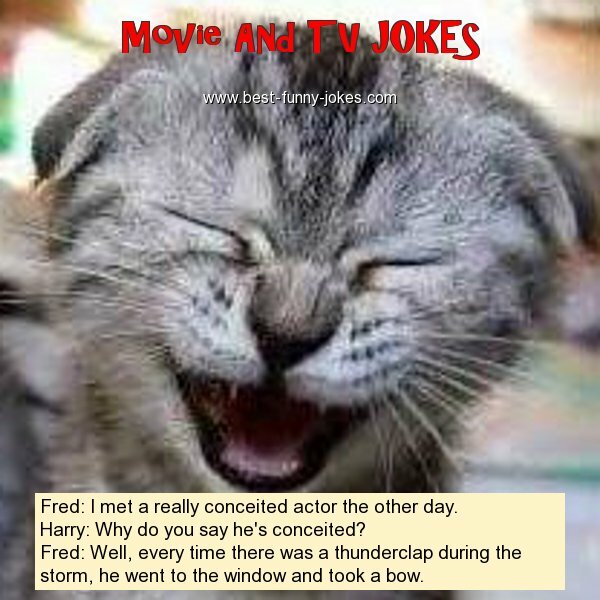 Fred: Well, every time there was a thunderclap during the storm, he went to the window and took a bow.